Visit the Royalty of Indian Deserts with the Pink City Jaipur, the capital to the Deserts of India Rajasthan also has in its crown to be known as first planned city of India and is appreciated by every visiting tourist. Being known to be Rajput's royalty the city has many architectural wonders in form of Forts and Monuments such as Hawa Mahal, Amber Fort, Jaigarh Fort, Nahargarh Fort, City Palace, Jantar Mantar, Jai Mahal, Rambagh Palace and Central Museum also known as Albert Hall Museum. And Ram Niwas Garden, Sisodia Rani Garden and Palace, Vidyadhar Garden and Kanank Garden as spectacle to such beautifully built Royal Palace. Rajputs not only love luxury and Royalty but were also the great followers of the Gods and Goddesses. Such was their belief that they made some of the astonishing Temples and without one's visit to Govind Dev Ji Temple, Galtani, Birla Temple ( Laxmi Narayn Temple) Moti Doongri Ganesh Tample and Panchayti Hall ( Devoted to Goddess Durga and Lord Shiva) the journey to the Royalty is incomplete. Don't miss the festivities in the likes of Gangaur Festival, Literature Festival, Kite Festival, Teej Festival, Shitla Mata Fair, Chaksu Fair, Elephant Festival as they will make you spell bound. 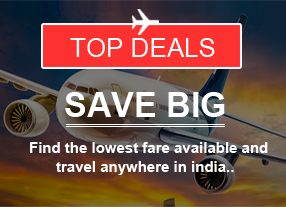 Rediscover Royalty with "Tickets to India" by simply logging into our website www.ticketstoindia.co.uk for Affordable Airfares and Memorable Tour Packages or call our customer support centre at 0044 020 8518 9100.